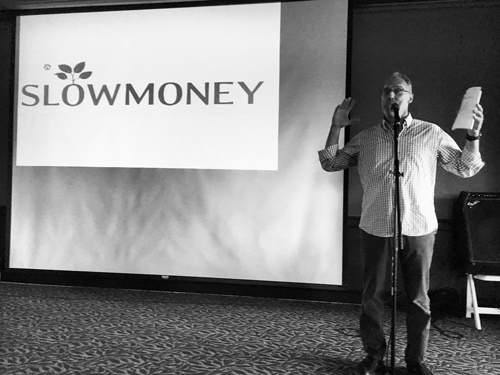 “Our survival relies on the ability to reintegrate investing and philanthropy,” said Woody Tasch at the second annual Slow Money Minnesota gathering earlier this month. Southern Minnesota Initiative Foundation (SMIF) co-sponsored this meeting, organized by our partner Renewing the Countryside. Tasch is the founder of Slow Money, an advocacy and investment group drawing from the slow food movement that is interested in bringing money back down to earth. At the Slow Money Minnesota meeting on May 3, Renewing the Countryside and SMIF announced a new fund: Grow a Farmer Fund. 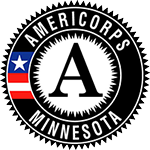 In its beginning stages, this will be a donation-based fund that will raise funds from individuals, restaurants, and others interested in supporting a stronger local food economy in southern Minnesota. SMIF and its partners are aiming to raise $100,000 by September 1 to launch this fund. It will be used to give lower interest loans to farmers such as John Mesko, who shared how a $350 investment in a three-point hitch helped him move his hog farm business from “just getting by” to a profit generating enterprise. The lower interest loans will recycle into a revolving loan fund to be an “evergreen fund” that can help others down the road. Given SMIF’s 30-year history of small-scale, “seed” investments for a sustainable region and the Foundation’s shorter-term interest in supporting a local food economy, the principles of Slow Money align closely with our own philanthropic efforts. For example, Slow Money Principle Six quotes Paul Newman: “I just happen to think that in life we need to be a little like the farmer who puts back into the soil what he takes out.” Anytime I talk with a potential donor to the Foundation, whether an individual, business owner, or City/County official, I remind them that for every dollar they put into the Foundation, an average of $10 is re-invested back into southern Minnesota to support children, businesses, and communities. The purpose and principles of Slow Money are gaining increased attention. The Grow a Farmer Fund is timely given the SEC’s recent approval of Title IV of Obama’s 2012 JOBS (Jumpstart Our Business Startups) Act. This provision allows unaccredited investors – essentially, ordinary citizens rather than only high-worth individuals – to invest a certain percentage of their own equity in start-up businesses. CNBC called this “the biggest change to hit start-up investing in years.” Grow a Farmer Fund, while not an equity fund, does allow anyone interested in supporting a stronger local foods system to contribute, whether by money or time. In southern Minnesota, we have a long history of agriculture. Our 20-county region houses a diversity of farmers, from commodity crop growers to small-scale farmers sowing everything from hazelnuts to hops. While both are economically important to our region, operationally, they are economically quite different. Insurance, loans, input costs, and distribution are all handled in unique ways. The Grow a Farmer Fund is targeted at smaller-scale farmers trying innovative approaches that have a harder time accessing traditional funds, don’t quality for subsidies, or lack typical collateral. The Grow a Farmer Fund is yet another outcome of the FEAST Local Foods Advisory Network, a group of many partners focused on supporting local foods makers, growers and producers in our region. The Feast! Local Foods Marketplace, held annually at the Mayo Civic Center, is another initiative of this network. Additionally, SMIF just announced a second Local Foods Peer council to provide small food businesses a chance to learn from each other to support their businesses. Farming continues to be an economic driver in southern Minnesota. As older farmers start to transition their farms to the next generation, the Grow a Farmer Fund is an innovative solution to allow a wider segment of those looking to care for the land an opportunity to plant roots and for a wider audience to support this mission.